We search the murky back waters of youtube to find full concerts and post them to the site weekly, come back every seven days to help us celebrate Full Show Friday's. These shows are of varying quality and may not be here for long so enjoy them while you can...As always, please support the artist every which way, but especially by seeing them live (if they are still playing)...This week...Colonel Claypool's Bucket of Bernie Brains! We are focusing all month on the freaky magic of Les Claypool and his assorted, amazingly weird side projects. This week Colonel Claypool's Bucket of Bernie Brains! One of the more odd side projects from Les (and that is saying something) but one where everyone on stage was a weirdo to the nth degree. 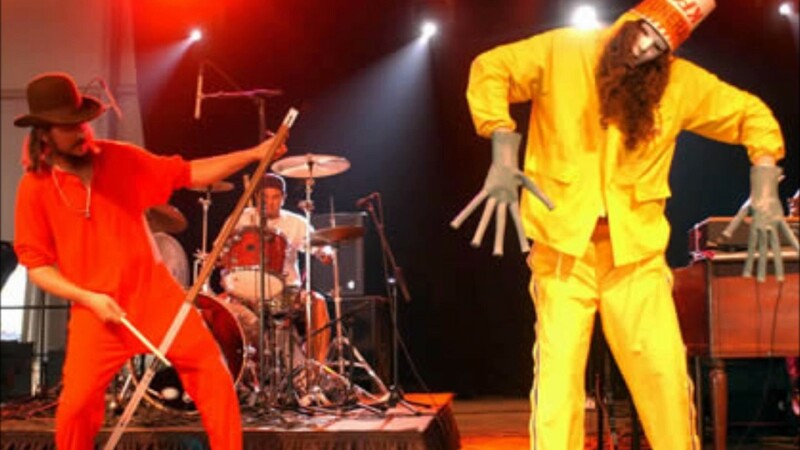 You have the legend Bernie Worrell on keys, the hard slamming Bryan "Brain" Mantia on skins, the clear figment of our collective imagination Buckethead on guitar, joining Les on stage for experimental freak-outs the whole night in New Orleans.